Hello and welcome to my blog! So glad to have you stop by! My name is Stacy and Egg salad sandwiches and devilled eggs were one of my favorite things to make and eat when I was a kid. I am a super protein junkie and must have figured this out around this age. 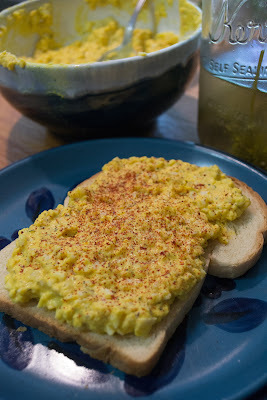 I made traditionally made egg salad all my life until I got into a health kick and realized mayo is not really good for you and that the egg salad tasted like mayo, which in all reality I am not the hugest fan of its flavor either. 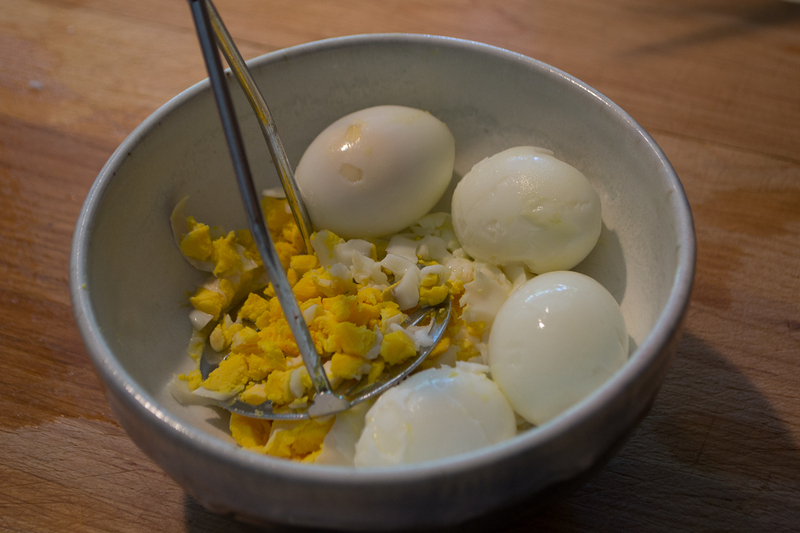 So in my attempts to bring you lower fat and better for you egg salad and devilled eggs I will warn you its not because we are using "low fat mayo" as the replacement for goodness. 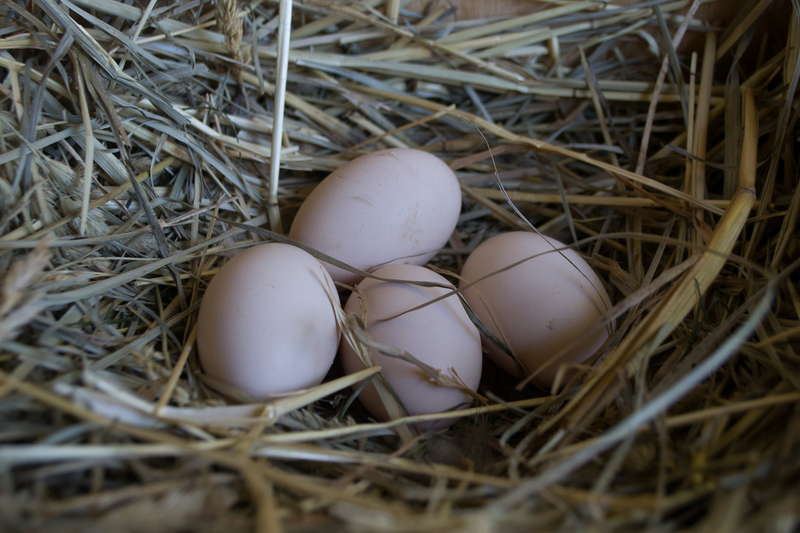 If you like what you see I'd sure appreciate you to come back soon or follow my blog! Comments and questions are gladly appreciated! 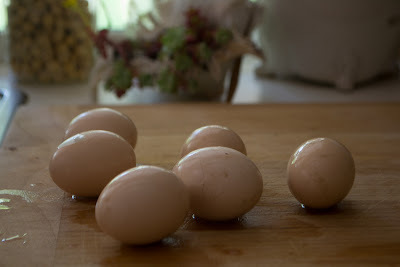 1) Hard boil eggs, in 1 tsp of baking soda. Let eggs cool in water and break shells away carefully. 2) Next put eggs into mixing bowl and mash with potato masher. 3) Add in pickle juice, yogurt and spices and continue mashing all together. 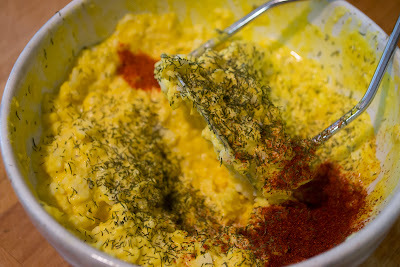 4) Taste and add more seasonings if you like, I am addicted to dill so I added more. 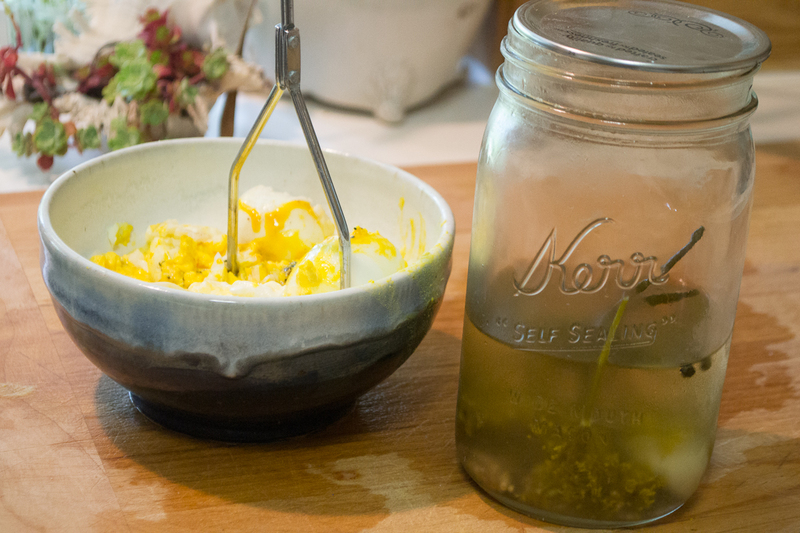 3) Mix seasonings and other ingrediants into yolk and mash with fork til creamy, if not creamy enough add more pickle juice to soften up. Enjoy and come back for more soon! !